Are you looking for a new home? Our recently completed model located in the pristine community of North Oaks may be perfect for you and your family! Located in the Rapp Farm neighborhood, this stunning two-story has so many amazing features and details. Boasting four bedrooms, five bathrooms, massive three-car garage, and 4,146 finished square feet, this Kootenia custom home truly has it all. The main level has an open concept design featuring wide plank wood flooring, Pella impervia series windows with white trim, private front office, warm and inviting Great Room with ceiling detail and Heat N Glo gas fireplace, Gourmet Kitchen with granite counters, subway tiled backsplash, white enameled cabinetry, stainless steel appliances and large center island with seating, a dining area, deck, powder room, and mudroom with built-in bench. The beautiful upper level has four spacious bedrooms, three bathrooms, large loft, and laundry room. The owner’s suite has vaulted ceilings, gorgeous master bath with granite countertops, double vanities, ceramic tile flooring, large soaking tub, separate shower and walk-in closet. The loft is a great space that could be utilized in many ways, from a children’s playroom, game room, sewing room or another home office. Bedrooms two and three share a full bathroom with two sinks, and a door separating the water closet and bathtub with showerhead, while the fourth bedroom has its own full bathroom. The laundry room is also located on the upper level, a great and convenient feature, especially for families. 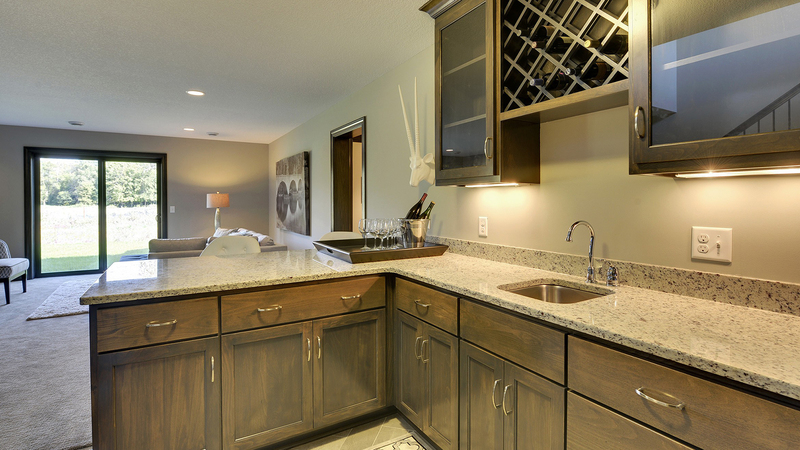 It has a granite counter with sink, storage cabinets, and durable luxury vinyl tile flooring. The lower level of this gorgeous Kootenia home is what really makes it unique and special. Completely finished, it has a massive recreation room, a perfect place to watch movies, the big game, entertain friends, or host holidays with family. It also has a large basketball court. This impressive home gym is sure to fulfill all of your families needs, providing a place for exercise, pickup games, and endless fun for years to come. The lower level is an entertainers dream! 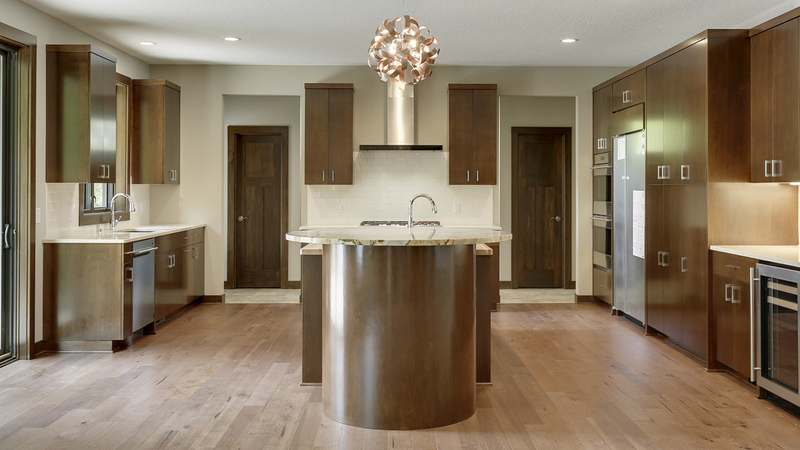 This brand new move-in ready two story by Kootenia Homes is offered at $669,000. Come visit us and see it in person Saturdays and Sundays from 1-4pm in Rapp Farm, North Oaks.